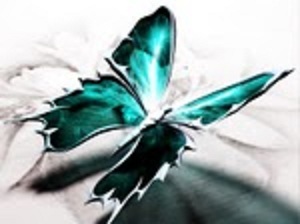 An ovarian cancer blog which includes quality resource materials: education, research, social networking, genetics and (some) healthcare politics. American College of Obstetricians and Gynecologists (ACOG) Committee on Gynecologic Practice; Society of Gynecologic Oncology. ACOG Committee opinion No. 716, September 2017. https://www.acog.org/Clinical-Guidance-and-Publications/Committee-Opinions/Committee-on-Gynecologic-Practice/The-Role-of-the-Obstetrician-Gynecologist-in-the-Early-Detection-of-Epithelial-Ovarian-Cancer-in. Accessed January 22, 2018. With a new Congress and a new President, where do we stand with issues that impact the ovarian cancer community? Join OCRFA's Vice President of Policy, Chad Ramsey, for an important policy update webinar with a Q&A afterwards. Chad will be updating us about potential changes to healthcare policy, the status of biomedical research, and OCRFA's proactive policy agenda for 2017. You won't want to miss this. Can't make the live presentation? Sign up - all registrants will receive a link to the recorded presentation when it's available. Average cash compensation increased in the nonprofit sector, except for front-line and support staff, between 2013 and 2016. When increases were received, the majority were less than 3%. The most significant increase was among management/supervisory staff at a cumulative 15% since 2013. This growth will need to be monitored to determine if it is a trend or a temporary spike. Augmentation of a vaginal repair with mesh or graft material did not improve women's outcomes in terms of effectiveness, quality of life, adverse effects, or any other outcome in the short term, but more than one in ten women had a mesh complication. Therefore, follow-up is vital to identify any longer-term potential benefits and serious adverse effects of mesh or graft reinforcement in vaginal prolapse surgery. 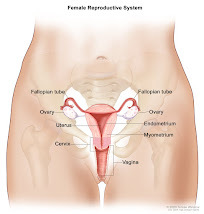 The 2014 World Health Organization Classification of Tumors of Female Reproductive Organs endorsed the new category of seromucinous carcinoma, a neoplasm that exhibits morphologic and immunophenotypic overlap with other histotypes of ovarian carcinoma. The goal of this study was to determine whether seromucinous carcinoma was a distinct histotype by assessing its diagnostic reproducibility and comparing its molecular composition to the 5 major histotypes of ovarian carcinoma. Thirty-two tumors diagnosed as seromucinous carcinomas from 2 centers were studied. Eighteen cases were randomly selected for a review set comprising a total of 50 ovarian carcinomas of various histotypes. Morphologic histotype was independently assessed by 4 pathologists. For the 32 seromucinous carcinomas, a histotype-specific immunophenotype was assigned using a diagnostic immunohistochemical panel. Histotype-specific genotype was assigned using a combination of immunohistochemistry and targeted next-generation sequencing for somatic mutations, including genes recurrently mutated in ovarian carcinomas. There was low to modest agreement between pathologists with the reference diagnosis of seromucinous carcinoma, ranging from 39% to 56% for the 4 observers. The immunophenotype was not unique but overlapped predominantly with endometrioid and to a lesser extent with mucinous and low-grade serous carcinoma. Genomic and immunohistochemical alterations were detected in a number of target genes, including KRAS (70%), PIK3CA (37%), PTEN (19%), and ARID1A (16%); no CTNNB1 mutations were identified. Nine cases (30%) harbored concurrent KRAS/PIK3CA mutations. An endometrioid genotype was assigned to 19 cases, a low-grade serous genotype to 9, and a mucinous genotype to 1 and 3 cases were uninformative. Integrating morphology, immunophenotype, and genotyping resulted in reclassifying the seromucinous carcinomas to endometrioid 23/32 (72%), low-grade serous 8/32 (25%), and mucinous 1/32 (3%). The morphologic diagnosis of seromucinous carcinomas is not very reliable and it does not exhibit a distinct immunophenotype or genotype. The molecular features overlap mostly with endometrioid and low-grade serous carcinomas. Our data suggest the category of seromucinous carcinoma be discontinued as ancillary molecular tests can assign cases to one of the major histotypes. With the recent advent of immunotherapy, there is a critical need to understand immune cell interactions in the tumor microenvironment in both pan-cancer and tissue-specific contexts. Multi-dimensional datasets have enabled systematic approaches to dissect these interactions in large numbers of patients, furthering our understanding of the patient immune response to solid tumors. Using an integrated approach, we infered the infiltration levels of distinct immune cell subsets in 23 tumor types from The Cancer Genome Atlas. From these quantities, we constructed a co-infiltration network, revealing interactions between cytolytic cells and myeloid cells in the tumor microenvironment. By integrating patient mutation data, we show that while mutation burden was associated with immune infiltration differences between distinct tumor types, additional factors may explain immunogenic differences between tumors originating from the same tissue. Finally, we examined the prognostic value of individual immune cell subsets as well as how co-infiltration of functionally discordant cell types associated with patient survival. We showed in multiple tumor types that the protective effect of CD8+ T cell infiltration was heavily modulated by co-infiltration of macrophages and other myeloid cell types, suggesting the involvement of myeloid-derived suppressor cells in tumor development. Our findings illustrate complex interactions between different immune cell types in the tumor microenvironment and indicate these interactions play meaningful roles in patient survival. These results demonstrate the importance of personalized immune response profiles when studying the factors underlying tumor immunogenicity and immunotherapy response. Number of New Cases and Deaths per 100,000: The number of new cases of ovarian cancer was 11.9 per 100,000 women per year. The number of deaths was 7.5 per 100,000 women per year. These rates are age-adjusted and based on 2009-2013 cases and deaths. 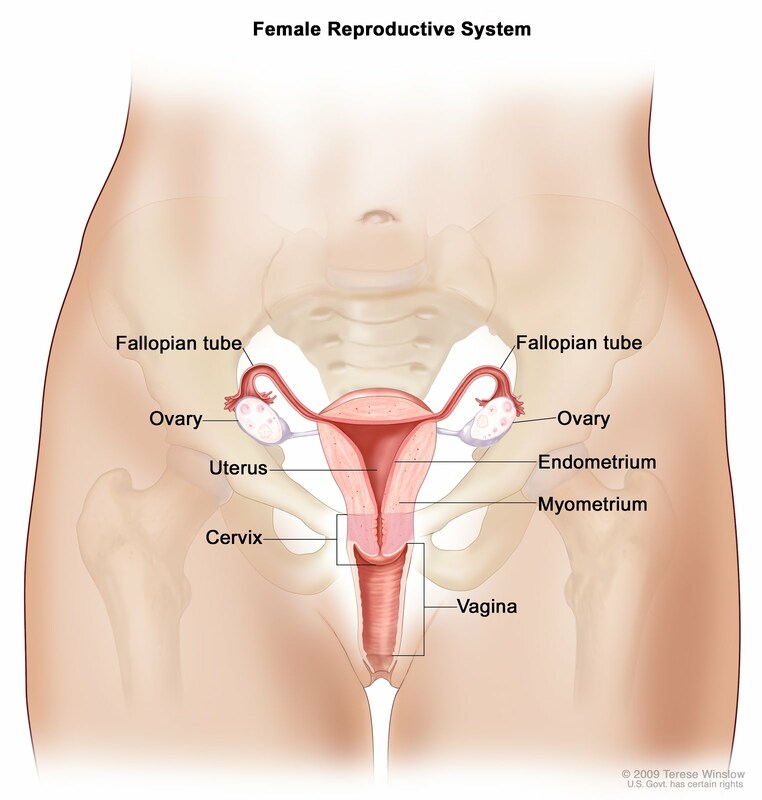 Lifetime Risk of Developing Cancer: Approximately 1.3 percent of women will be diagnosed with ovarian cancer at some point during their lifetime, based on 2011-2013 data. People with rare cancers now have the option of joining a national clinical trial testing leading-edge immunotherapies for a wide variety of tumor types. It’s the first federally funded immunotherapy trial devoted to rare cancers. Despite their name, rare cancers make up more than 20% of cancers diagnosed worldwide. The trial is called DART (Dual Anti–CTLA-4 and Anti­–PD-1 Blockade in Rare Tumors) and is managed by SWOG, the cancer clinical trials group that is part of the National Cancer Institute’s (NCI) National Clinical Trials Network (NCTN). The trial is sponsored by the NCI and being conducted under the NCI collaborative agreements with Bristol-Myers Squibb for ipilimumab (Yervoy) and nivolumab (Opdivo). The trial draws on the design and takes advantage of the scale of another landmark trial offered through the NCTN, NCI-MATCH (NCI-Molecular Analysis for Therapy Choice), a precision medicine trial open at more than 1,000 clinical sites. Codesigned by the ECOG-ACRIN Cancer Research Group and the NCI, and led by ECOG-ACRIN, NCI-MATCH is the most sweeping precision medicine trial in the United States. NCI-MATCH uses a customized tumor gene testing method to match patients with any solid tumor, along with lymphoma and myeloma, to multiple targeted treatments. Currently, there are 24 treatments offered, with plans to add about 10 more. Since NCI-MATCH was launched in August 2015, more than 2,500 patients have completed tumor gene testing out of the 6,000 patients intended to be screened. As of December 1, 2016, nearly 300 patients have entered treatment arms. Background. Although the association between raised platelet count (thrombocytosis) and cancer has been reported in primary and secondary care studies, UK GPs are unaware of it, and it is insufficiently evidenced for laboratories to identify and warn of it. This systematic review aimed to identify and collate evidence from studies that have investigated thrombocytosis as an early marker of cancer in primary care. Methods. EMBASE (OvidSP), Medline (Ovid), Web of Science and The Cochrane Library were searched for relevant studies. Eligible studies had reported estimates of the association between thrombocytosis and cancer, in adults aged ≥40 in a primary care setting. Raw data from included studies were used to calculate positive predictive values and likelihood ratios (LRs) for cancer. Results. Nine case–control studies were identified. Study quality was judged to be high. Included studies reported on the following cancer sites: colorectal, lung, ovary, bladder, kidney, pancreas, oesophago-gastric, uterus and breast. LRs indicated that thrombocytosis was a predictor of cancer in all sites except breast. In a consulting population, thrombocytosis is most highly predictive of lung and colorectal cancer. Conclusions. These results suggest that patients with thrombocytosis in primary care have an increased risk of cancer, and that some, but not all, cancers have raised platelets as an early marker. This finding is expected to be of use in primary care, for GPs receiving blood test results unexpectedly showing high platelet counts. Further research is needed to identify the cancers that are most strongly associated with thrombocytosis. What is cancer anorexia cachexia syndrome? Researchers at from the Harold C. Simmons Comprehensive Cancer Center have found that the BRCA1 gene is required for the survival of blood forming stem cells, which could explain why patients with BRCA1 mutations do not have an elevated risk for leukemia. The stem cells die before they have an opportunity to transform into a blood cancer. "One of the great mysteries in cancer research is why inherited mutations, such as those in BRCA1, cause cancer only in specific tissues such as the breast and ovaries, rather than in all tissues. Our data suggest a 'die or transform' hypothesis, which could explain this tissue specificity," said Dr. Theodora Ross, Professor of Internal Medicine and Director of the Cancer Genetics Program at UT Southwestern. Article: Distinct Brca1 Mutations Differentially Reduce Hematopoietic Stem Cell Function, Victoria E. Mgbemena, Robert A.J. Signer, Ranjula Wijayatunge, Travis Laxson, Sean J. Morrison, Theodora S. Ross, Cell Reports, doi: 10.1016/j.celrep.2016.12.075, published 24 January 2017. This study compares the outcomes of various screening strategies on CRC outcomes. Colonoscopy emerged as the most effective screening strategy with the highest life years gained and CRCs prevented and the lowest total costs...... Improved sensitivity or specificity of a screening test for CRC detection was not sufficient to close the outcomes gap compared with colonoscopy. The much anticipated initial results of the Gynecologic Oncology Group (GOG) 252 trial failed to provide additional clarity for the use of intravenous (IV) versus intraperitoneal (IP) chemotherapy in patients with ovarian cancer, explains Franco M. Muggia, MD. 1. Carbohydrates. The anti-carb/low-carb craze has gone too far. 2. Protein. Judging from the explosion of protein products -- a category that includes bars, smoothies, even protein water -- you’d think our national diet is deficient in this basic food component. 3. Fiber. What with all the attention being paid to carbohydrates and protein, it’s easy to forget about fiber. The final word: Don’t buy into the industry-driven hype. Google Scholar search "ovarian cancer"
3. Ovarian Cancer: Let Me In!